Evercoat, a leading brand of body filler and putty in North America, has announced the launch of Rage OPTEX body filler with color-changing technology. Rage OPTEX changes colors from pink to green, indicating to the body shop technician that the repair is properly catalyzed and ready to sand. 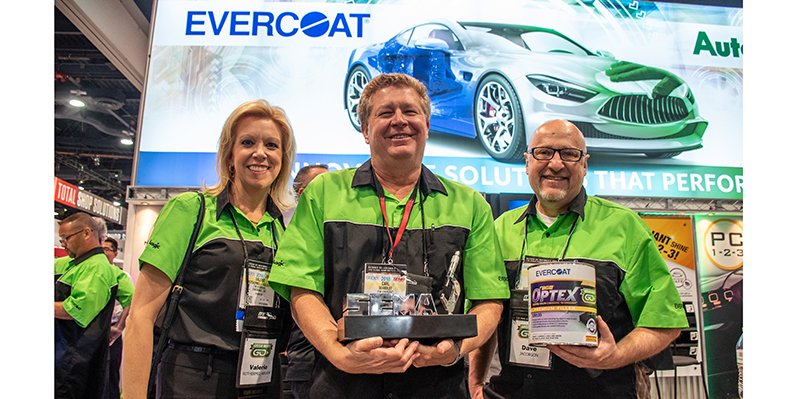 The color-changing technology is also available in a putty, and both body filler and putty are available through Evercoat distributors or jobbers. A list of Evercoat distributors is listed in the “Where to Buy” section of the Evercoat website. The body filler also won this year’s SEMA best product award for the collision and refinish category.